Born in the Vale of Evesham, Worcestershire, Dan took a keen interest in music from an early age playing tuba and trombone with his local brass band. After leaving school Dan embarked on a ten year career as a hotelier both in the UK and in Ireland. During this time he continued his musical interests through local brass and concert bands and also played double bass, sousaphone and bass saxophone on a semi-professional basis with a number of traditional, mainstream, function and big bands in London and in the Midlands including the internationally acclaimed Pasadena Roof Orchestra. Throughout this period Dan also continued his interest in composition and arranging, developed a reputation as a conductor with many of the local brass bands in his area and in 2003 he enrolled in the Band Musicianship course at Salford University where he studied composition with Prof. Peter Graham. While studying at Salford, Dan received his first commercial success as he was commissioned to arrange That’ll Do for the Black Dyke Band and then flugelhorn player John Doyle. Shortly after this his first test-piece An Elgar Portrait was selected as the 4th Section set work at the Swiss National Brass Band Championships in 2007 and was also used the following year at the Pontins Championships. In 2009, his test-piece, New World Sketches, was set as the 2nd Section test-piece for the British Area Contests. Also in 2009 Dan became a composer in association with the Cory Band helping them with their winning programme at the Brass In Concert contest and has continued producing original and arranged works extensively for the band ever since. 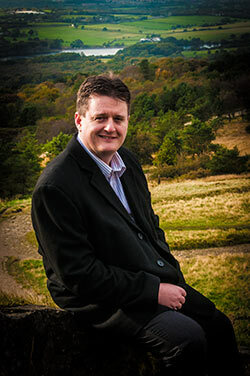 In 2012 Dan became the Arranger in Association with the Black Dyke Band and has been involved with many of the bands exciting projects including his arrangement of Recycled for the ground breaking multimedia campaign - Danger Global Warming Project and the bands collaboration with British composer Tolga Kashif for his 2012 Olympic Anthem Let Your Light Shine. Dan lives and works in East Lancashire as freelance composer. He continues to work with a number of the leading brass band soloists and ensembles. His portfolio now includes music for symphonic winds, choir and digital music for multimedia, radio and television.